Hello, happy Friday, one more day to the Weekend! It's the Mid-Month Reminder for the Fuzzy Wuzzy Challenge. You have until the 31st of August to submit your Shaped Card for our August Challenge. Please remember, you need an animal as the focal point of your card. Border Punches - lace - Martha, Rick Rack, EK Success. Going to lunch with a bunch of gals from my neighborhood. One of the gals that lost her husband is moving to Long Island to be closer to her only son and we are taking her to lunch. She and her husband built their home and moved in when they married, she was 17. She has lived there all her life, and soon will celebrate her 76th birthday. I'm so proud of the way she has handled cleaning out the house and giving away and getting rid of her "things", then selling her home, and now the big move soon. I will miss her as a neighbor and friend, but I am so happy for her that she will be with her son and his family in a loving home. They are all looking forward to this move and I wish them much happiness in the days ahead. They have added a Mom's apartment to their home, so she will have her own space. What an adorable card. 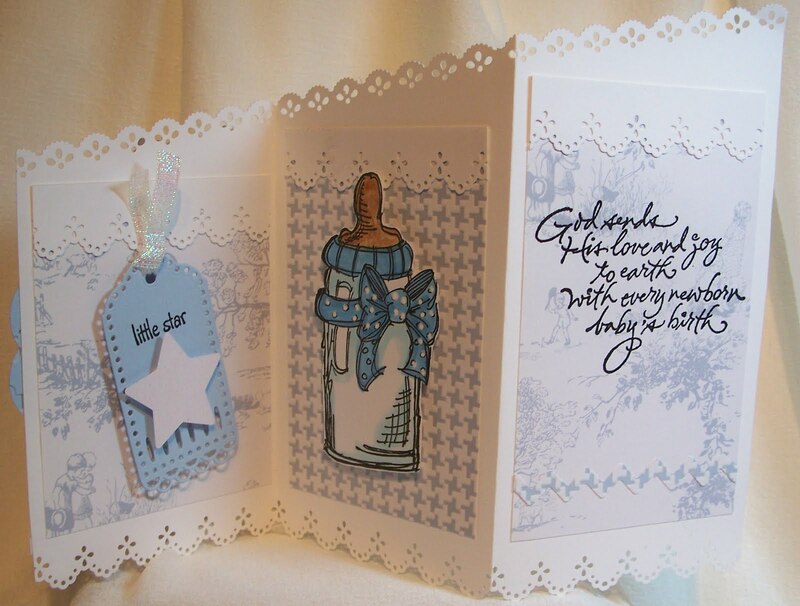 This one will have to go into my idea book for when I need a baby card. Love it! 86, so about 70 yrs in the same home. Amazing! this is such a cute card! I can't believe how much you got into this one little card! Wonderful details! what a adorable and sweet card, your image is so cute sue. Wow, Sue, this is great! Wonderful idea, will have to try this! 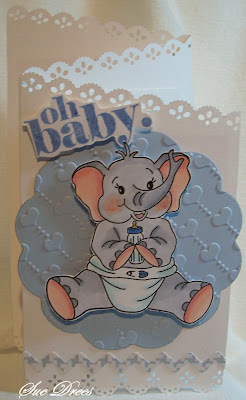 Love the elephant and the embossing folder that you used behind him. I wish your friend all of the best with the move and starting a new part of her life. I know that you will miss her, you will have to send her a beautiful card every once in a while! Wow, this is such a beautiful card! 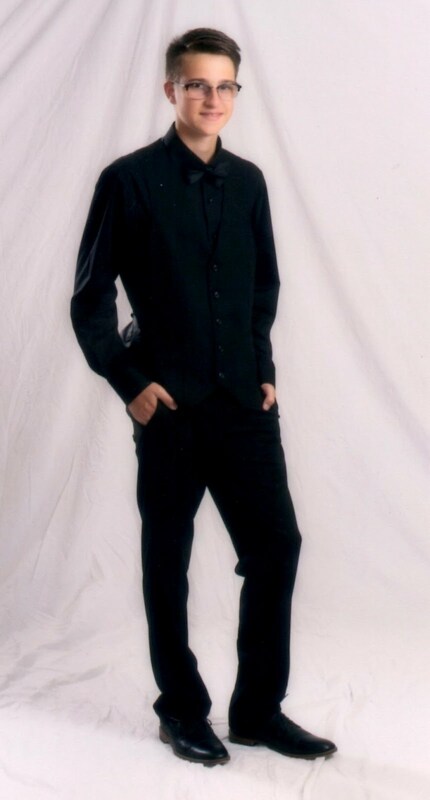 Oh wow this is so so adorable Sue!!!! Love the white with the elegant border and embossed pattern!! The elephant is too sweet!! :) Beautiful creation!! P.S. To answer your question about sleeping...No, not much since I have to wait for teens to get home late at night and then to kick them up out of bed early in the morning!! LOL!!! I have to fill up my hours somehow!! LOL!! 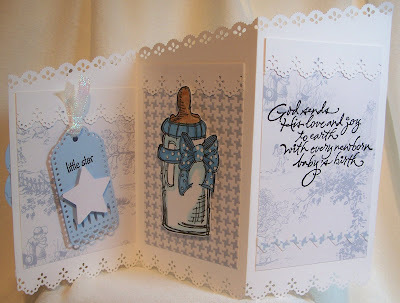 Oh my is this ever wonderful, you are just so talented, wished I had someone to make a baby card for:). Love all the details. This is one of my favorite card cuts - don't know why I haven't made more of them. Love all the cute little details on this one. Just adorable. The words just jumped right out of my mouth when I say this. The fold is a great choice for this image.